Getting to college is the aspiration of many young people. This is because college education equips the young with the skills and capabilities to take over the world. College is, therefore, a time a personal development and academic progression. But that is not all that happens on campus. College students get into a lot of mischief during their stay in college. With their new found freedom, college students are free to do whatever they want and more often than not they end up doing the wrong things. Most of these mistakes are related to their finances and considering that college students have limited resources, these mistakes are usually very costly. Let’s now take a look at some of the financial mistakes that college students make. Scholarships provide students with a great opportunity to reduce their education-related expenses. With the cost of tuition at an all-time high, scholarships help students pay for their education without taking up a lot of loans. The fact that you don’t have to pay them back makes scholarship the best way to pay for your education. Most college students, however, don’t secure higher education scholarships and those that do don’t exhaust their scholarship options. 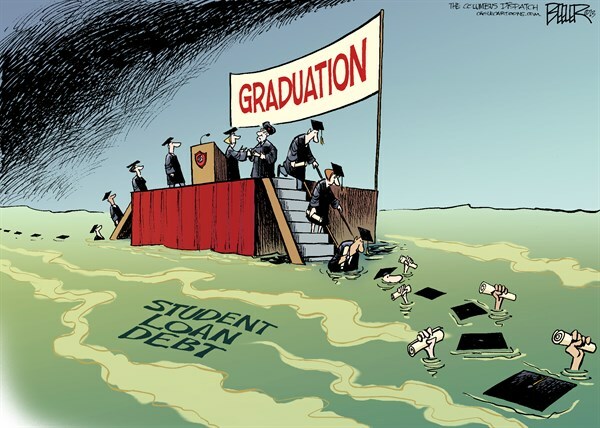 Most students have to acquire loans to pay for their education and this puts them into debt early in life. Credit cards provide users with a convenient way to pay for goods and service without necessarily having the cash up front. If you feel like “I Need Money Today ASAP”, credit cards serve as the most readily available source of funds. Credit card companies offer amazing rewards and programs but the downside is that they came with high interest rates. Another thing with these cards is that they are very tempting and users are tempted to spend beyond their means. Students without a reliable source of income could, therefore, end up in a lot of debt for using their cards in the wrong way. Such debt impact one’s credit score negatively, making it difficult to acquire loans later in life. Most students don’t budget for their funds and this usually results in a lot of financial frustrations later in the semester. It is for this reason that most students end up taking loans later in the school term; loans that they are not in a position to pay up in time and this puts them into further debt. Planning helps students stay within their means and this helps them avoid debt. 4. Using their student loans inappropriately. College education is very expensive and most students take up loans to pay for tuition and other education costs. There are those, however, who choose to use their loans for activities that are not related to their education. You would see some uses their loans to acquire the latest designer clothes or to pay for hotel dinners. This is very bad and it has seen students take up bad loans so as to complete their education.